On a clifftop above a beautiful sandy beach, a mere stone's throw from where Charles Dickens used to spend his summer holidays, Wheels And Fins Festival sprang into life over the weekend. In the shadow of the North Foreland lighthouse, the surfers' paradise of Joss Bay played host to an eclectic line-up of DJs and bands as well as providing an outlet for the thrill-seekers with its Skate U.K. Mini-Ramps Champs events. Aside a mammoth field of cabbages bordering a golf club and affording stunning views of the English Channel, the Wheels And Fins site is one of the more unusual on the festival calendar. The mix of music, skateboarding, bike battles, beach yoga and alternative Punch & Judy among many other things saw to it that variety was in abundance. Tim Peaks Diner showcased up and coming talent, the sizable dance tent threw down some seriously dirty beats courtesy of the plethora of DJs and the main stage played host to some great acts, including The Libertines-headlined and curated Sunday Sharrabang. Friday's highlights included some fantastic bluesy rock from Broken Witt Rebels. Having just returned from America, following completion of their second album, the band were in fine form. They belted out some soulful renditions of 'Loose Change', 'Snake Eyes' and finally a rousing run through of 'Shake Me Down'. Danny Core's rasping vocal was in full flight coming across like a mixture of Bon Scott and Paolo Nutini. In the dance tent, Philip George blew a fuse, literally (lights out, the lot), with his seismic bass beats before getting back on track, rather perfectly, with Au/Ra's 'Panic Room'. They'll be joined by Echo & The Bunnymen, Reverend & The Makers and more. The Wheels And Fins Festival, taking place between the 7th-9th September at Joss Bay Beach near Broadstairs in Kent, have just announced a rather special set of additions to their already impressive line-up. 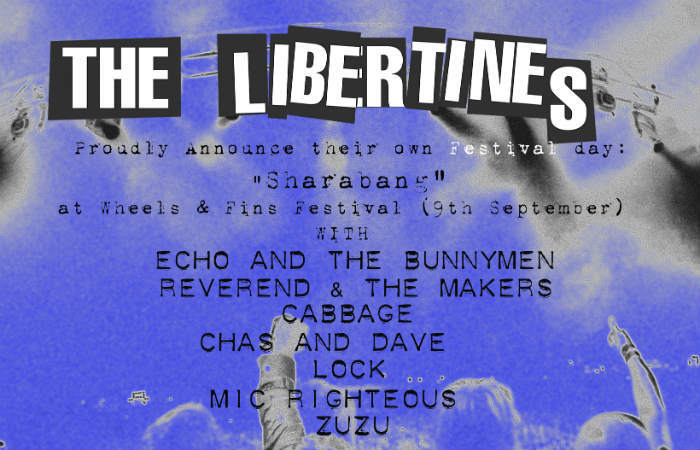 The Libertines, who head up the roll call of acts on the final day, have also curated a 'Sharabang' of delights. Joining the foursome on the bill, on the Sunday, will be Echo And The Bunnymen, Cabbage, Danny Allen, Jess Bays, Reverend And The Makers, Mic Righteous, Lock And Zuzu with Essex poet Luke Wright stepping up as compere. Gary Powell, the Libertines' drummer, spoke about how the band's first album since 2015 is coming along. 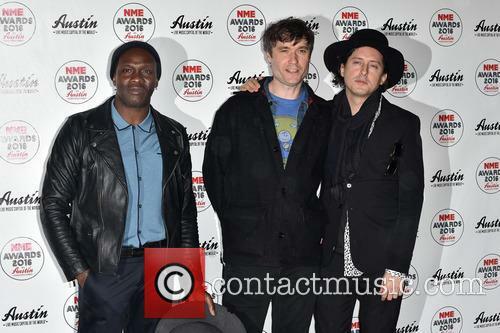 They seem to have been in the headlines more frequently for festivals and curious business adventures like opening hotels these days, but The Libertines’ drummer Gary Powell has offered fans a little update on the progress of their fourth album. 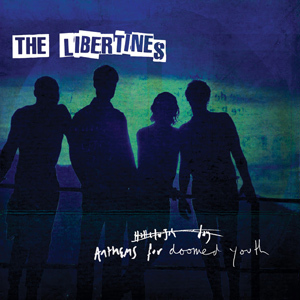 The iconic group, fronted by singer-songwriting duo Pete Doherty and Carl Barat, are currently recording the follow-up to 2015’s Anthems For Doomed Youth, an album that followed after an 11-year wait after the band imploded spectacularly the first time round in 2004. 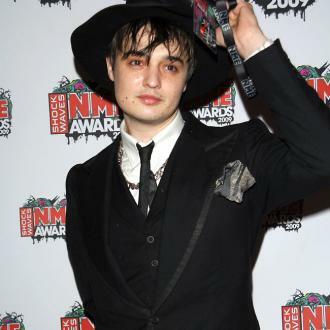 Speaking to Clash magazine, the band’s sticksman Powell confirmed that the Libertines had been recording in their Margate hotel The Albion Rooms’ studio. Meltdown Festival is twenty-five this year and to celebrate its silver anniversary it is down to the one and only Robert Smith, of The Cure, to curate this year's event. Smith has hand picked this year's guests for his real-life fantasy festival and sent a hand written letter to each of the acts to invite them to perform. One such letter found its way to The Libertines and they duly responded positively, accepting Robert's request to play in the sixty-six-year-old modernist masterpiece that is The Royal Festival Hall. The Libertines took their time to follow Yonaka and wandered onto the stage as they do with their calm and nonchalant demeanour. "Are we all ready?" Pete asked of the band before striking the first notes of 'The Delaney'. A fired-up version of 'Heart Of The Matter', impassioned 'Boys In The Band' and meandering 'What Katie Did' were all early set highlights as the band got into their stride. Pete lost his trench coat and shortly after shed his jacket too as the night heated up and the crowd got behind the band with a great deal of enthusiasm. 'The Albion Rooms', a hotel and studio complex open to the public, will launch later in 2018. 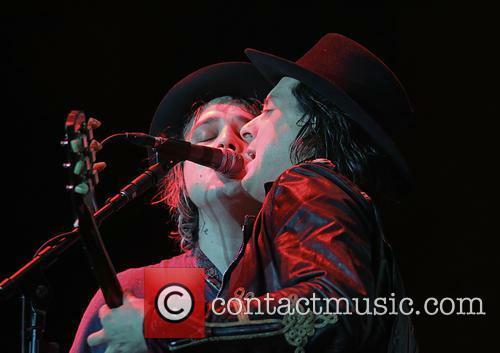 The Libertines have revealed that their plans for a hotel and studio complex in the English seaside town of Margate are well under way, and that they hope to open it to the public later in 2018. The reformed Noughties indie heroes took over the five-storey, 10-room Victorian building in the town last year, and have been renovating each room with a plan to open it to the public as a hotel complex with their own studio located within – calling it ‘The Albion Rooms’. On Friday (January 26th), the Libs revealed via a short video titled ‘First Day At Albion Rooms’ what the place will look like. Now in its third year, and most definitely at home, By The Sea festival returned to Margate in glorious style. Having surely established itself as Kent's premier music festival, By The Sea once again upped its game with an inspired roll call of artists. Across the last weekend in September, and in some iconic venues that included Dreamland heritage theme park and the Margate Winter Gardens, East Kent was treated to a spectacular musical menu. If the thrill of riding the U.K.'s oldest wooden roller coaster, The Scenic Railway, taking a stroll along the golden sands or even seeing Steve Davis DJ in Olby's Soul Café were not enough to tempt you down to the coast on Friday night then surely huge dancing bears and the Hall By The Sea's headline acts were. As the dodgem DJs began to spin their last few tunes, the theme park took on a new guise under the bright lights and neon kitsch. As the yearning for Candy Floss subsided and the need for an Acapulco Taco took over Dreamland came to life. Dutch Uncles were in great spirits in The Hall By The Sea kicking off their set with 'Oh Yeah' off of their most recent and most successful album to date, 'Big Balloon'. Singer Duncan Wallis was in fine form, excited to 'finally be there' and even inviting the crowd to come and 'ram us later' on the dodgems. With some very funky slap bass, a playful exuberance and a tight, polished set, Dutch Uncles proved a delight. After delivering crowd favourites, 'Face In' and 'Fester', Duncan declared, 'That's enough dancing around like p***ks, we're 30 for God's sake! If we wanted to be sick we'd have gone on the waltzers!' 'Steetlight' and a pulsating, percussively excellent 'Big Balloon' followed before the first of the evening's crowd participation, the harder hitting 'Dressage', closed out their set. 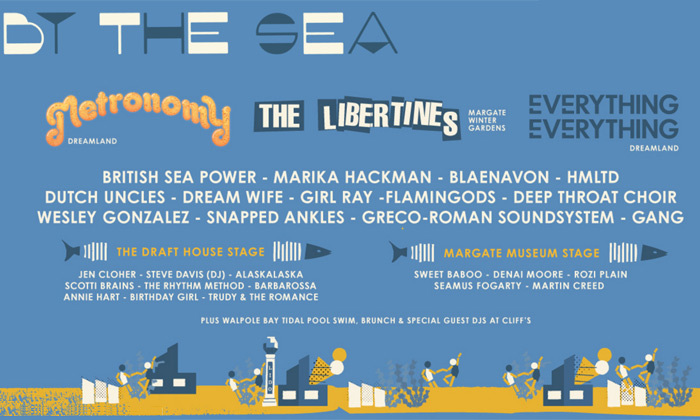 By The Sea festival returns to Margate at the end of September for its third year. Over the course of three days alongside the heritage rides, candy floss stalls, 2p slots and just a stones throw from the golden sands, By The Sea will feature a plethora of bands in some iconic settings. Having previously played host to Super Furry Animals, Hot Chip, Wolf Alice, Bat For Lashes, Mystery Jets and Foals, amongst others, By The Sea has attracted a finely balanced and eclectic mix of inspirational artists. 2017's bill is just as tempting and looks set to delight and excite in equal measure. The variety of acts is a diverse selection of the up and coming as well as some established, unmissable favourites. Making an impromptu release of his 4th studio album Drake made a return proving why he is one of the most in demand rappers. Highlights of the album include opening track Legend -which features a long instrumental introduction with background vocals giving a harmonic feel to the track. Track Energy sees keys help make the track come alive with the Canadian rapper pushing himself as an artist and pushing the boundaries in the rap industry. 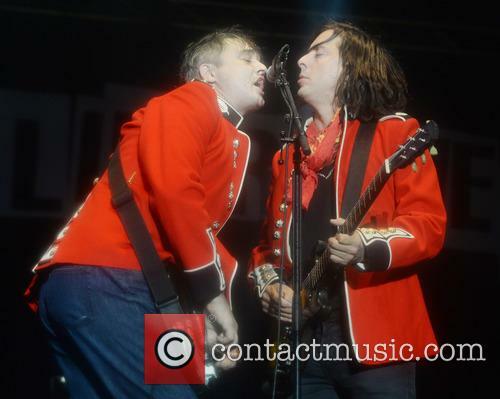 Released in September The Libertines marked a return to the music scene following their 2004 self-titled album. 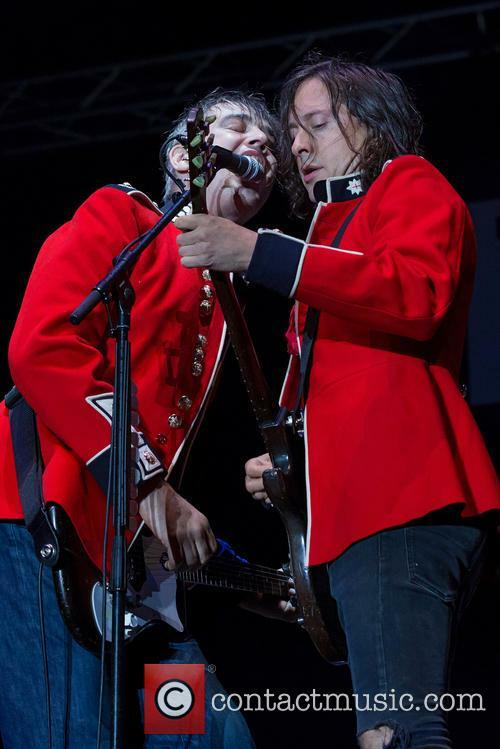 A decade on the band proves their songwriting skills never went away with tracks such Gunga Din a racous, fun indie track making fans of The Libertines feels as if they never went away. Athems for Doomed Youth is a softer album from a band who is constanlty in the headlines for the wrong reasons. Heart of the Matter is a highlight of the album catchy, light and will become a firm favorite when the band play summer festival next year. While Stereophonics have scored their sixth UK number one album with ‘Keep The Village Alive’. A fortnight ago Justin Bieber scored his first ever UK number one with ‘What Do You Mean’ and now he’s back in the top spot again this week. The single has risen one place to reclaim the number one spot, after being knocked off by Sigala’s ‘Easy Love’ last week, which has now fallen to number two. 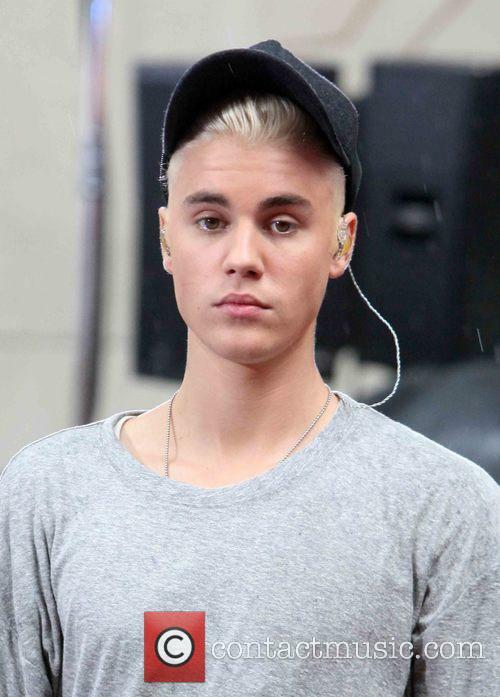 Justin Bieber’s What Do You Mean has topped the UK single’s chart. In the number three spot was Calvin Harris and Disciples with ‘How Deep Is Your Love’, which scored over 2.1 million plays this week to rise one place in the chart. Jess Glynne’s ‘Don’t Be So Hard On Yourself’ fell one place in its sixth week on the chart, while The Weeknd’s 'Can’t Feel My Face' is a non-mover at number five.